Sarah Blasko has had her time in the sun. So too Megan Washington. And more recently Kimbra. But there’s one young Aussie female singer/songwriter who’s so close to breaking through, but who so far has yet to get the commercial recognition she deserves. 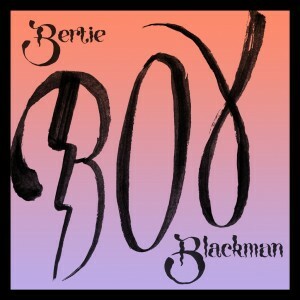 It’s Bertie Blackman. Though Bertie’s stocks have been steadily rising across the past few years (her last album ‘Secrets And Lies’ scraped into the top 50), we’re wishing for much more success with her upcoming album ‘Pope Innocent X’. Anyhows… The official video has landed for her latest single ‘Boy’ (released last week) and we’re rather enamoured by it. It’s an animated affair, created by fellow musicians Quan Yeomans and Celeste Potter, and follows the story of the ‘Boy’, who seems to be being bullied by some creatures that look like they’ve stepped straight off Gotye’s ‘Somebody That I Used To Know’ clip. The ‘Boy’ tries to fit in, but he ultimate becomes more ostracised from them and society. Until he meets some new, more welcoming friends, that is. It’s then when his world becomes a lot more colourful, filled with vibrant creatures like the one below.